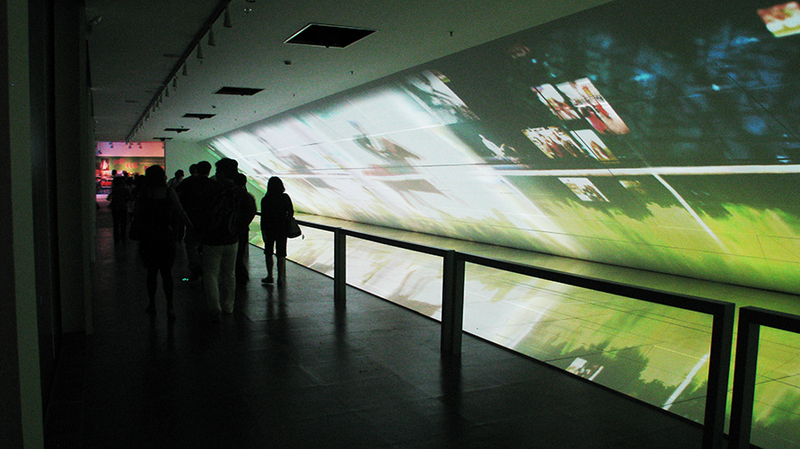 In May of 2010, Noho designed and installed an audio-visual display for the Irish Pavilion at the EXPO 2010 site in Shanghai. 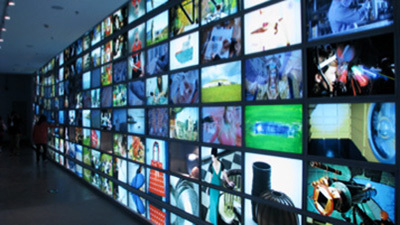 Working for Martello Media, we created complex video and animation sequences for the feature exhibits in the Pavilion. We then installed the content on site, working closely with Martello, the OPW, Henry J. Lyons Architects, and Chinese contractors. 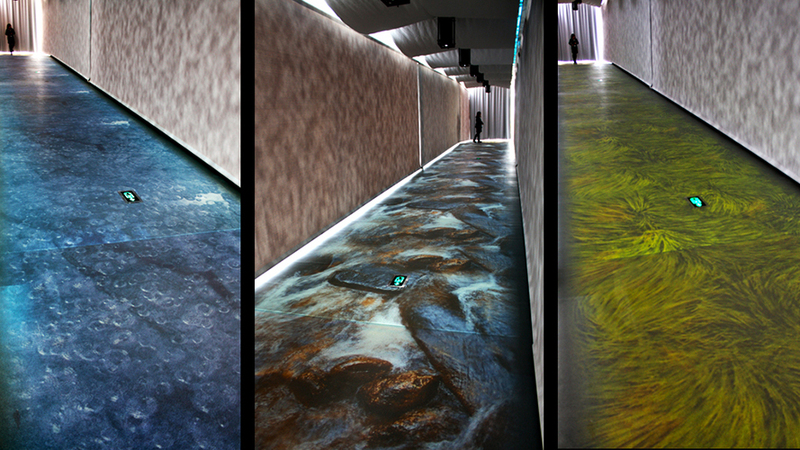 The Atlantic Light corridor featured a 6 projector looping video projection on the floor, giving visitors an impression of the Atlantic climate. The projection mixed CG elements with live-action shots of gushing rivers shot at high resolution on a Red camera. 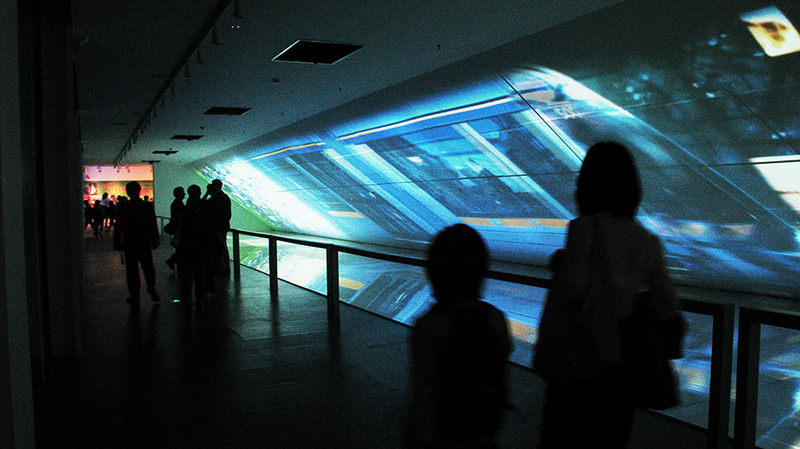 The full corridor projection was 30 meters by 2.6 metres and was edited onsite to best suit the projection set-up.The Urban Vistas exhibit featured a high resolution video three projectors wide. 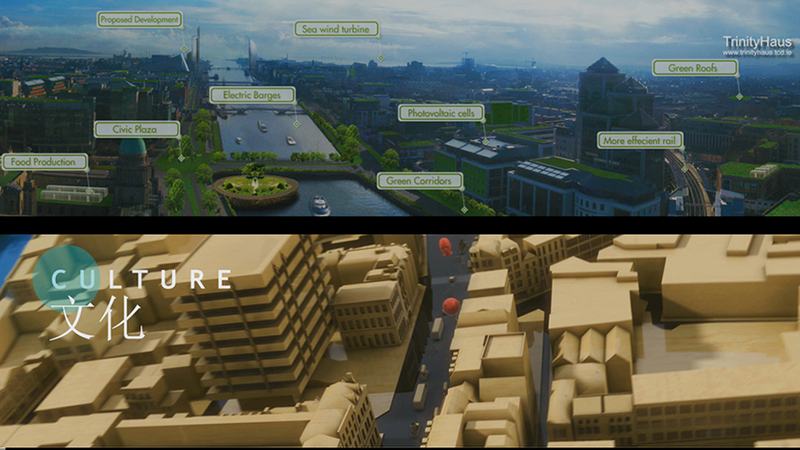 It focused on aspects of urban life in Ireland, combining high resolution time-lapse shots with CG content from previous Noho projects. We worked with Trinity Haus to create a vision of a future sustainable vision of Dublin, and the Metropolis project from GV2 supplied us with renders from CG environments of Trinity College.The Gallery of Dreams was a 6 projector corridor, featuring content that “floated” toward the viewer on both walls and a reflective floor, lending depth to the experiences and a sense of infinity to the work. We shot video footage at full 4K, including a Croke Park segment filming Ireland v Wales. 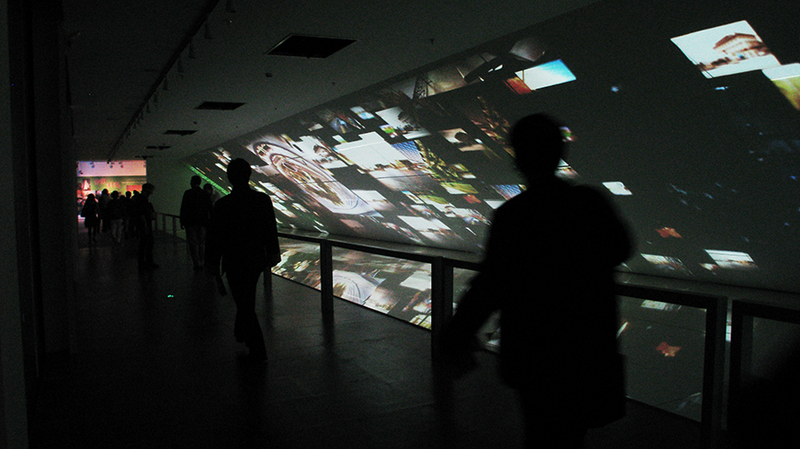 The high resolution 8:1 video offered a considerable technical challenge as it was spread over six projectors. 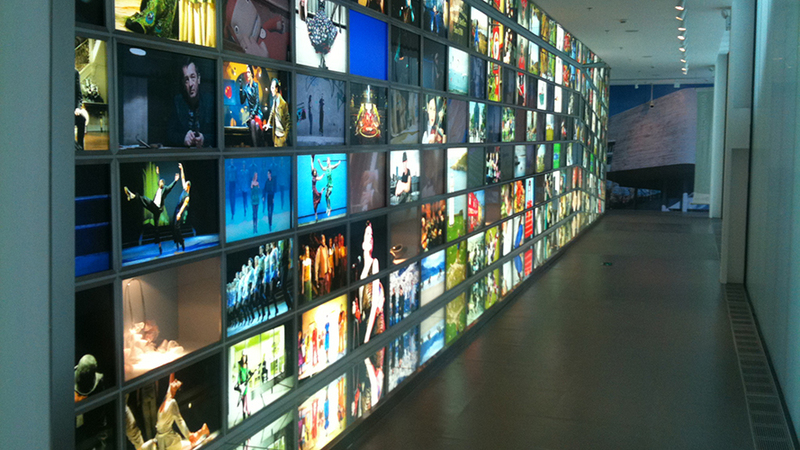 Our team re-configured our renders onsite to perfect the visitor experience. 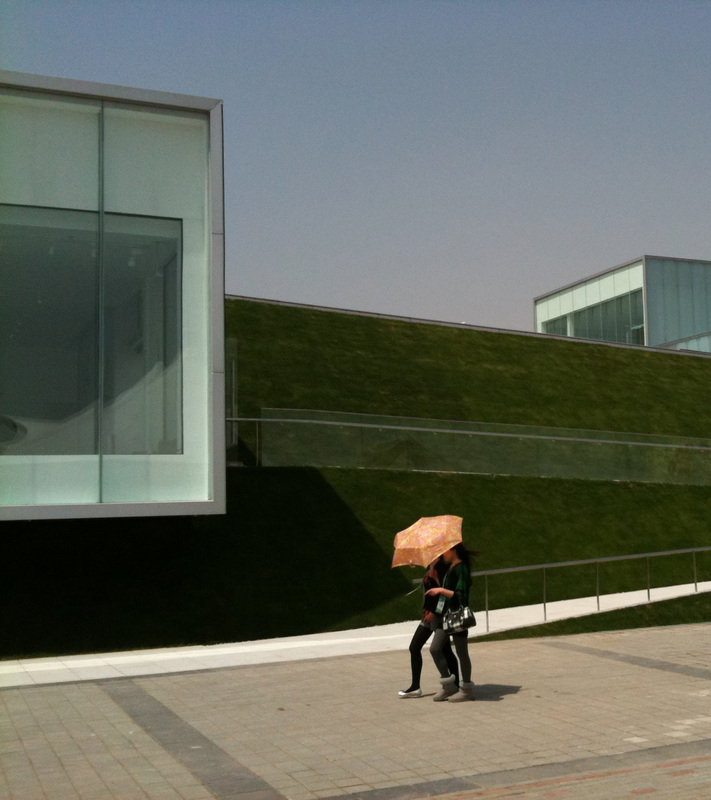 In terms of scale and exposure, the Expo was our largest project to date. Seven million people visited the Ireland Pavilion by during the 2010 Expo. We are delighted that it was named a “Model Pavilion,” an honour given to only four exhibitors out of the year’s 250 total exhibits.